Frank Genesee will get you the lowest possible penalty. Never sign a plea agreement without good advice! Loss of your driver’s licence. For most drivers, when faced with these potential consequences, fighting the charges is the obvious choice. But you don’t have to make this decision on your own. 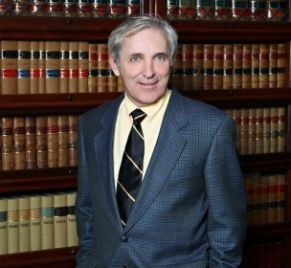 Frank Genesee, an experienced impaired driving lawyer in Hamilton can help you to understand your legal rights and successfully defend the charges against you. For a first offence: A minimum fine of $1,000 plus a victim surcharge. A minimum 1-year driving prohibition. In some provinces, the driving prohibition can be reduced to 3 months if you install an alcohol ignition interlock device in your vehicle (at your expense). For a second offence: A minimum 30-day jail sentence plus a minimum 3-year driving prohibition. For a third or subsequent offence: A minimum 120-day jail sentence plus a minimum 3-year driving prohibition (in some provinces a lifetime prohibition is imposed). Maximum jail terms for an impaired driving conviction are 18 months if the charge is prosecuted by summary conviction and 5 years if the charge is prosecuted by indictment. Courts will impose harsher penalties (more than the minimum required under the law) on those whose breath test results are over .160, which is twice the legal limit. Driving prohibitions apply 24 hours a day, seven days a week throughout Canada. In addition to a driving prohibition imposed by the court (the federal prohibition), the province can suspend your driver’s licence as well. These suspensions generally run concurrently, however, the province’s suspension may start before you go to trial and are convicted, while the federal prohibition usually starts only upon conviction. The provincial licence suspension may be for an even longer period than the court-imposed prohibition. . If you have a U.S. driver’s licence, you may still lose your licence if you are convicted of impaired driving in Canada. Contact Frank Genesee to find out the specific consequences that you may be facing if you are convicted of the charges against you. 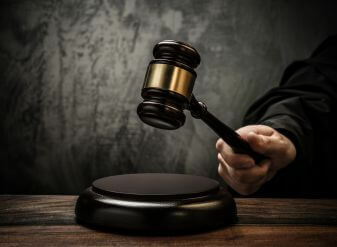 Impaired driving and DUI penalties continue to become more severe as federal and provincial legislatures impose harsher requirements for sentencing. Fines are getting higher and court-imposed driving prohibitions are becoming longer. Recently, some states in the U.S. have started charging impaired drivers with murder when they are involved in an accident causing death. Impaired driving offences are criminal offences and if you are convicted you will have a criminal record. Currently, the law in Canada allows you to obtain an eventual pardon if you are convicted of an impaired driving offence. However, many politicians are pushing to change the legislation to prevent those convicted of impaired driving from ever obtaining a pardon. Preventing you from obtaining a job as a teacher, police officer, lawyer, banker or government employee. Preventing you from pursuing certain post-secondary programs, such as nursing. Preventing you from traveling to, working in or moving to certain countries. Many countries will prevent you from entering their borders if you have a criminal conviction. If you are a landed immigrant, a criminal record may affect the amount of time you wait for citizenship, or it may cause you to be deported. a certified true copy of the court document outlining your conviction. a copy of the Criminal Code section under which you were convicted. a note from your doctor stating that you are not addicted to alcohol or drugs. a certified true transcript of the evidence from your trial, if available. When you are charged with impaired driving, the police take your fingerprints and photograph. If you are convicted, they will retain this information. If you are acquitted, Frank Genesee can help you request to have your fingerprints and photograph removed from police records. The 50% surcharge stays in effect for 3 years post-conviction, but you may have to pay the high risk rates for another 3 to 6 years. Under some provincial insurance plans, drivers are issued driver penalty points (DPPs) for impaired driving convictions. This can add up to thousands of dollars when your DPP premium is assessed once per year. If you are involved in an accident and are convicted of impaired driving, your vehicle insurance contract will be void. Your insurance company will not pay for any of your damages and they will try to make you repay them for any amounts they have to pay to others involved in the accident. Frank Genesee can help you to understand your legal rights and how a guilty conviction will affect your life for years to come. When facing potential penalties and consequences this severe, you can’t afford to proceed without experienced legal counsel. Know your legal rights. Contact Frank Genesee today at (289) 426-1644.